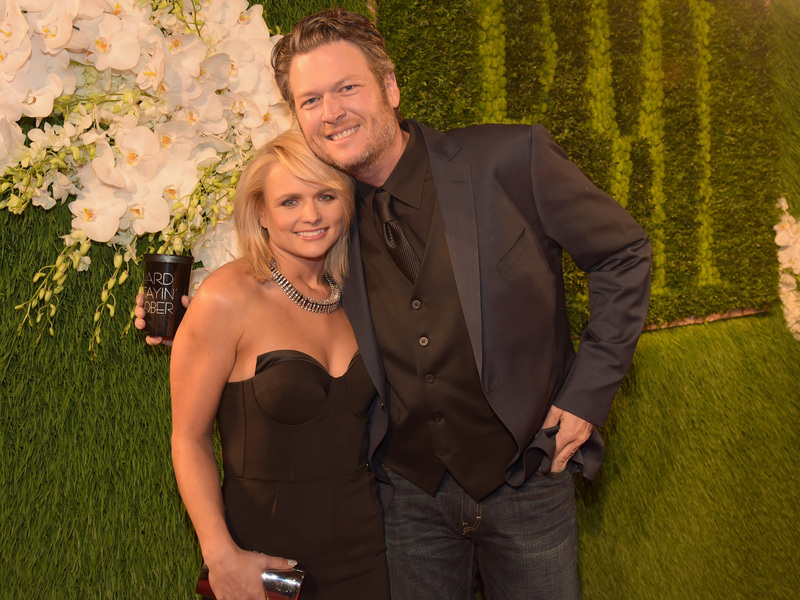 It's hard to believe that, after four seemingly happy years, Miranda Lambert and Blake Shelton have decided to call it quits, but unfortunately, their divorce announcement wasn't just a bad dream. On Monday, news broke that their divorce was final, and although Lambert and Shelton have apparently been apart for awhile now, it doesn't sound like it was a decision they came to easily. And, as expected, Lambert is pretty emotional about it. So emotional that on Saturday, Lambert cried on stage while performing "The House That Built Me" at Wyoming's Cheyenne Frontier Days to the point of having to take a break from performing. It's a pretty emotional song in the first place, but it seems pretty clear that her tears aren't just because of the feelings what she's performing evokes. "The House That Built Me" was originally meant for Shelton, but when he saw Lambert's strong reaction to it, he handed it over to her — and that fact probably didn't stop the tears from coming. In a moment that's simultaneously heartbreaking and uplifting, Lambert ended up pausing to collect herself while her fans took over singing the song for her. "The last thing someone wants to do is cry in front of 19,000 people," she said — a statement that I definitely agree with. If you weren't already upset about Shelton and Lambert's divorce, you probably are now. And even though there are surely some heart-wrenching performances from both Lambert and Shelton on the way as they (and, to be honest, the rest of us) cope with their divorce, here are some that are pretty sad now that they're no longer together. If you feel like crying while watching these videos, don't worry — you're definitely not alone. This is a song about a relationship coming to a heartbreaking end that's too hard to get over. And Shelton and Lambert are singing it together. Yep, I'm done. This music video starts and ends with a video Lambert made for Shelton days before they got married, talking about how excited she is to be his wife. If you're not tearing up at least a little bit, you officially have no soul. Shelton introduced Lambert as his "amazing wife" before she came on stage to sing "The House That Built Me" with a backdrop of homeless animals playing behind her. This is the definition of sadness. This performance is sad for two reasons: Because it's a song about how grateful they are for each other and they're singing it together, and because this duet took place last March — so chances are, it was pretty close to the time they decided to go their separate ways and file for divorce. Never mind the fact that this song is about falling in love with someone. What's worse is how happy Lambert is that Shelton joined her for this performance on tour and talks about how excited she is that he's there at the end. Is it too late to hold onto hope that they might find their way back to each other someday? Performances like these might never happen again — although it might be a good thing, since they're all so upsetting now.